Elaborate detail and luxurious features are a fresh design alternative for the colder months, and we’ve selected our top five fall design trends and insider tips to help you update your home. When we wanted to know about the hottest home trends for fall, we decided to go right to the pros. The Mine is a Kirkland-based purveyor of quality home decor and their experts know all about the latest and greatest looks. Alexa Bickel was nice enough to share her insights and reveal to our readers five of the top trends for fall. With the leaves changing color in Seattle and the temperatures cooling down, fall is in full swing. 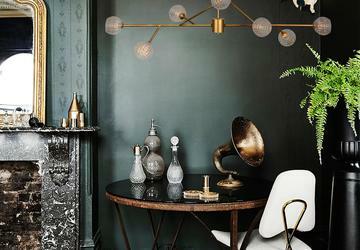 Grab your coffee because that means it’s finally time to talk fall design trends! While each new season inspires change, autumn is the best for creating a statement look. The striking designs we are beginning to see serve as a stark contrast to the minimalistic style that has dominated as of late. Earlier this year, Panton predicted green as the color of 2017 and we see no sign of this trend slowing down. The hue is perfect for fall because it can work throughout the home and reflects tones from nature. Dark shades of green paint serve as a rich backdrop for the sumptuous leathers and natural wood present in this season’s furniture favorites. 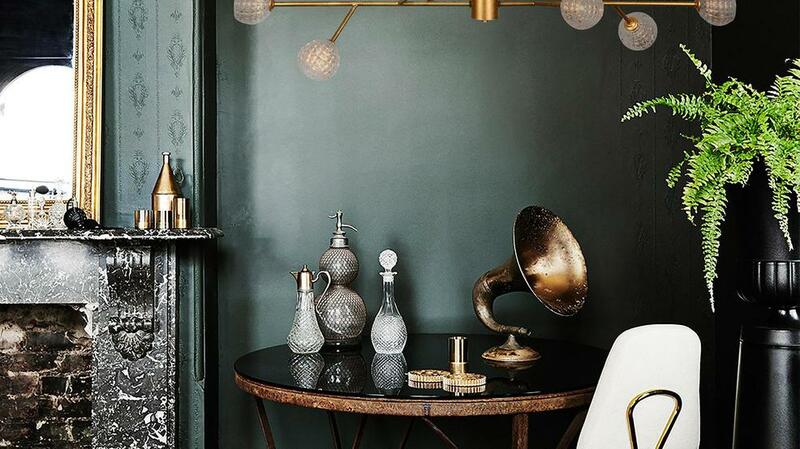 The look pairs well with gold and black decor for a dramatic effect. If you aren’t quite ready for green paint, using the color in an accent chair or piece of decor (like this geometric pillow!) adds interest to any room. This cozy color is a must for memorable fall and winter design! Farmhouse inspired decor is swiftly growing in popularity. Between demanding back-to-school routines and longer work hours, it’s no wonder that fall time inspires people to carve out a cozy, intimate area to unplug with loved ones. The theme can carry consistent throughout an entire room, or you can utilize just a few key pieces while combining a different look. The best combination (in our opinion) is rustic elements incorporated with modern design to make for a current look. For instance, pairing neutral accent decor and artisan rugs with natural textures such as a wood lamp accomplishes the fresh country room effect. Another place this design favorite is popping up is in artwork. Using elements from nature in a painting will reinforce the theme. 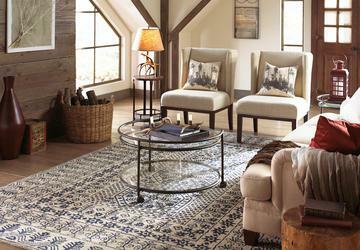 Rustic elements are all about comfort and simplicity, so this look can be achieved with a few key pieces. We spend all day looking at a flat screen, so designers are countering that slick tactility with texture and the must-have is velvet! Using a touch of velvet gives a sense of warmth, comfort and luxury perfect for the colder months. Pulling off the velvet trend calls for a little nonchalance. This means using a statement or accent piece with this texture rather than using it in multiple pieces throughout the room. 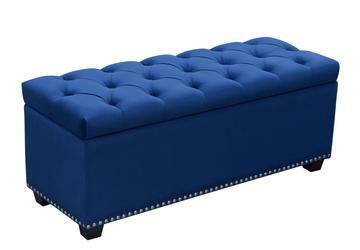 A perfect place to start is a gorgeous blue tufted sofa. 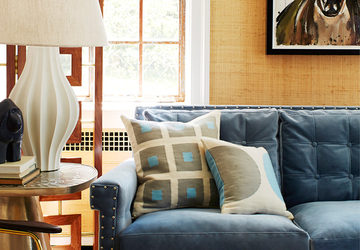 The soft fabric adds drama to the space yet a blue hue gives the room a relaxing feel. 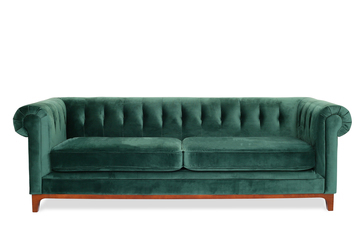 If you want aren’t ready for the effect of a velvet sofa, subtle furniture such as this glamorous ottoman will help you stay understated and current. You will not regret adding this trendy texture into your home, and you'll enjoy the luxe warmth it imbues. Designers are hooked on this intricate trend! This pattern packs a lot of personality, so it’s best to use items as a statement piece. 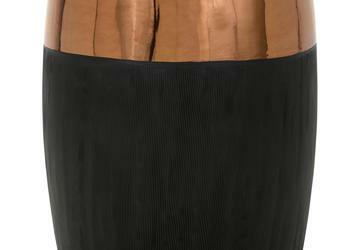 Bone inlay is perfect for adding depth and dimension because it’s naturally reflective. 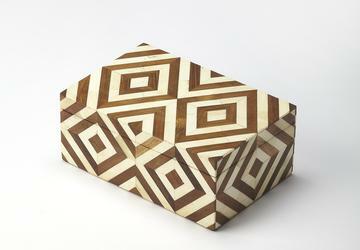 From a charming box to a sideboard, bone inlay is here to stay. 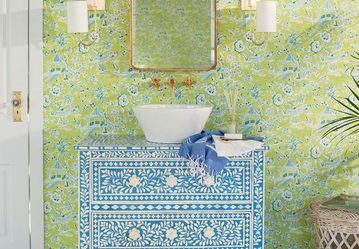 A perfect spot to incorporate the pattern is in a room that usually needs some character-the bathroom! Guests will be pleasantly surprised with the fashion forward piece. This traditional trend is destined to wow and charm your guests and there are endless opportunities to use this conversation piece in a room. For ideas, shop our favorites! Black is a timeless, sophisticated decor option that has always been in style. Matte takes it to the next level! The best part of this trend is that it can work with any style – traditional, modern, minimalist – you name it. Although you can incorporate the trend throughout the room, the color works best in finishes such as hardware and decor. 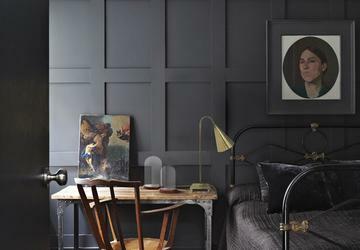 Matte paint is a bold statement for the new season that is perfect for a chic bedroom. For the traditionalists, cabinet pulls or a matte black faucet are perfect accents to a classic kitchen. 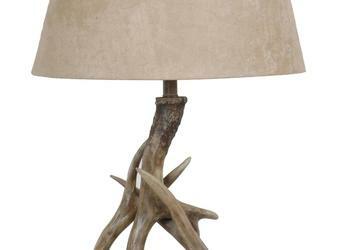 The modernists can rejoice because a sleek table lamp will give you a refined feel. Adding matte black pieces inside your home will give an understated design look consistent with fall patterns and hues. 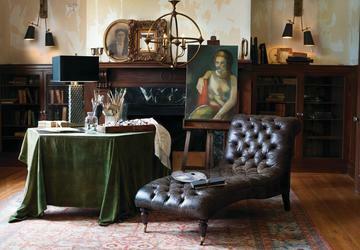 Fall trends this year are giving a nod to the traditional past while incorporating a modern touch. The lush colors, patterns, and textures of this season are sure to inspire many fresh designs in your home. Our favorite part about these trends is how simple they are to incorporate, mix and match. Whether it’s the intricacies of bone inlay or the luxury of velvet that has piqued your interest, The Mine has everything you need to stay on-trend with home decor this season! Explore the possibilites at themine.com.